Senator Edward Markey ’72 vows to go down fighting to help consumers. 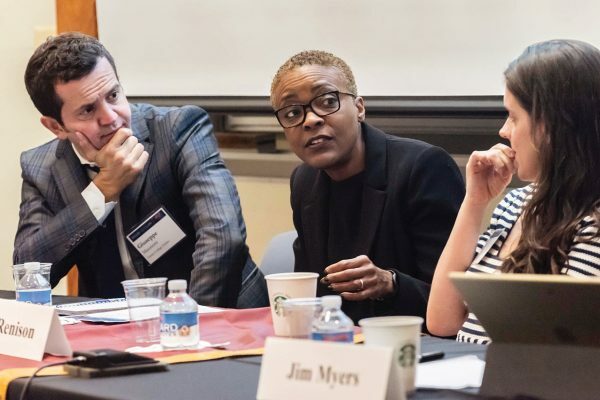 US Senator Edward Markey ’72 invoked the spirit of BC Law during a campus speech in October, part of the Dean’s Distinguished Lecture Series and co-sponsored by the Rappaport Center for Law and Public Policy. “Up until the 1980s, regulation was not a dirty word,” the Senator said in comparing the practices of Presidents Donald Trump and Ronald Reagan. Markey stressed the importance of regulations “that kept our air and water clean, our financial market sound and stable, and our consumers protected from dangerous products and predatory practices.” These regulations, Markey noted, are under pressure through an attack reminiscent of Ronald Reagan’s mass deregulation strategy during his presidency. Markey explained that history is repeating itself in President Trump’s administration, arguing that Trump is using Reagan’s former methods to destroy federal agencies responsible for executing regulatory laws. Markey elaborated on Trump and Reagan’s tactic of appointing “foxes to guard the henhouse,” giving as examples federal regulatory agencies, like the Environmental Protection Agency (EPA) or Department of Energy, being led by officials who want to dissemble their own agencies from within. 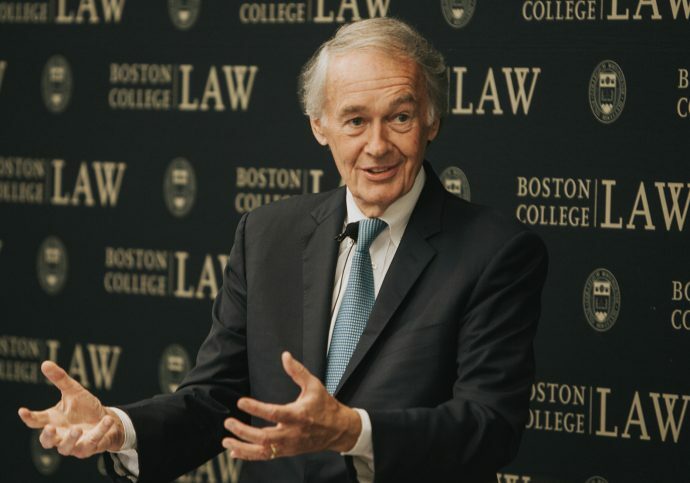 Markey described the “grim reaper” maneuvers restraining new legislation, such as Trump’s “two for one deal” to cut two regulations for every one passing through the legislature, and starving federal agencies of resources, rendering them inert. This presents a problem today, Markey said, citing as an example the revocation by the Congressional Review Board of several regulatory laws concerned with public health and welfare, such as labor abuse reporting and mine waste dumping.